Does your favourite kilt no longer fit you or is it just looking a bit tired? Don't despair we are experts at refurbishing kilts and can make that all important alteration to make your kilt resplendent again. There are a number of alterations available and our Master Kiltmaker will be pleased to look at you in your kilt to determine what needs to be done. For example if only a small adjustment is required we can do that by moving the buckles and straps. 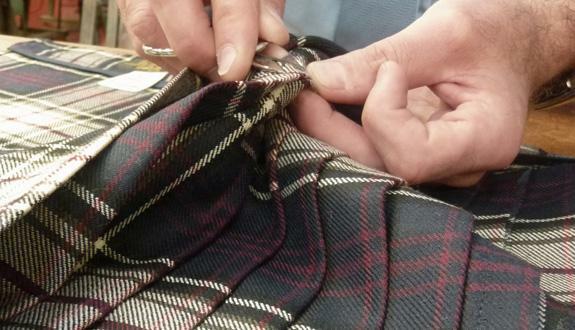 For bigger adjustments we can let a kilt out (or take it in) through the aprons and ultimately we can completely rip your kilt down to the cloth and re-make it to the new specifications. We also provide a dry clean and pressing service which can sharpen the pleats up and bring your kilt back to life. If you would like more information on this service please contact us.